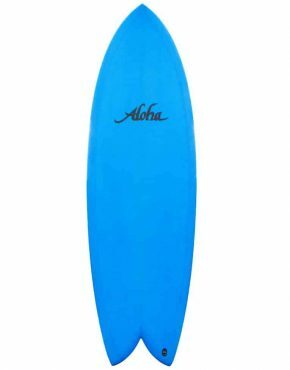 Agency Surfboards are manufactured by The Surfboard Agency. These guys manufacture and distribute surfboards to Europe, Australia, New Zealand, Japan and America. Their Brands include Simon Anderson, LSD, Aloha, Webber and Geoff McCoy Designs. At Vertigo Surf we have the Agency Bull Ant ready to go. The Bullant is perfect for waves shoulder high and under, and performs well in very poor conditions. The Bullant is ideally suited to a Quad fin setup The bottom has a full-vee with a double concave which starts from the centre, this enables an extremely fast acceleration! As soon as you get to your feet you can feel the Bullant Take Off! The beveled rail lessens the volume for increased sensitivity in rail to rail turns whilst providing greater buoyancy and maintaining a performance rail profile. The wide diamond tail provides multiple pivot points for fast direction changes off the back foot! If you are interested in getting hold of other surfboards from Agency Surfboards or their associated brands don’t hesitate to get in touch! shop@vertigosurf.com or +64 6 7527363.